Time to take a look at this paper in detail. Since, according to Handley, this is a paper of such import I thought I’d go through it carefully. I thought, that since it was my birthday, I’d indulge my own idiosyncratic approach and start with the introduction and check the references as I went along. I realise (see Note 1) this isn’t the way most people tackle a paper, but I find it a useful way to gauge the general timbre of a piece. The first sentence struck me, even on my first reading, as bizarre. I realise the paper itself was originally written in French, and that scientific papers aren’t always known for their polished style, but surely this seems odd? Vaccination helped with the eradication of smallpox, a 99% decline in poliomyelitis between 1988 and 2003, and a 40% decrease in measles cases between 1999 and 2003 worldwide, as well as a decrease in cases of mumps of 859 to 9 per 100,000 inhabitants between 1986 and 2013 in France . “Vaccination helped”? With the eradication of smallpox; that’s damning with faint praise? Then the figures for polio and measles only up to 2003? Why not use more recent figures? The polio decline is now >99% and measles cases for 2016 were down to 89,780 (the first year global deaths fell below 100,000) which is an almost 90% reduction from 1999. Also the sudden jump to specific French incidence figures for mumps? According to the World Health Organization, vaccinations save the lives of 2 million people every year worldwide. International campaigns have led to the eradication of smallpox, a 99% decrease in polio cases between 1988 and 2003, a 40% decrease in measles cases between 1999 and 2003. In France, thanks to the vaccine, the incidence mumps decreased from 859 to 9 cases per 100,000 population between 1986 and 2013. There’s using a reference and there’s straight up copy/pasting and adding a certain slant? That first sentence wasn’t getting me off to a good start. The second sentence, likewise, seemed very clunky. Referring to observed resurgences of pertussis and rubella, but not giving any context. The maintenance of a good vaccination coverage, i.e. a high rate of vaccinated person in the population, is necessary to avoid the resurgence of other infectious diseases as was observed for pertussis or rubella, with a double benefit, both individually and collectively, by reducing the number of people who can transmit infectious disease . To say that I detect a faint hint of bias in the way they’re framing the situation would be an understatement. But let’s move on… The next sentence acknowledges the success of ‘many vaccines’ but then leads straight to claims of a “growing public distrust of vaccination in recent years”? This isn’t referenced? I think we are all aware of the existence of some public distrust, but how much it has grown and how recently this has been a phenomenon is possibly worth evidencing if you’re going to make such a claim? These numbers are referenced in , which is a 2012 WHO document (pdf). The 120 products in the pipeline and the >$100 billion figures are indeed on slide 15. I found reference to the growth of 10-15%, but not 20%. The figures from a 2012 document unsurprisingly don’t encompass 2016 figures either. Perhaps they used a different source for these latter figures? I am still not certain what purpose they serve in the context. That’s the first couple of paragraphs. The next one again frames the situation, declaring vaccines to be “a major societal issue” and then listing several factors contributing to “mistrust of vaccination”. These factors are all referenced as quoted directly from reference , which is this website. It should be noted that this distrust is framed as being counter to the opinion of experts and also that it is a distrust due to several issues which are specific to France. The paper then presents the list of “factors”, including ‘Mediator, contaminated blood, etc.”. I hate to admit to such ignorance, but prior to reading this paper, I was unaware of the Mediator drug scandal. I was aware of the contaminated blood scandal, but only vaguely. The way the list is presented in this paper is strange when the paper is taken in context as one to be read by an international audience. I would add here that the extent of copy-pasting so far in this paper is, in my opinion, excessive. The detailed analysis of the conditions required to provoke an autoimmune disease provides no evidence to date to incriminate vaccines or adjuvants. Any moratorium on the non-use of aluminum adjuvants would make impossible, without any convincing argument, the majority of vaccinations. The resurgence of diseases prevented by these vaccines would, on the other hand, certainly lead to a morbidity much higher than that, hypothetically, of autoimmune or neurological diseases attributed to vaccination. So they are citing a report which concludes that there is no evidence adjuvants cause autoimmune disease. This as evidence of a “controversy”? The next reference is to a book published in 1926, somewhat reluctantly I am going to take them at their words that it “empirically introduces” aluminium (see Note 1) salts as adjuvants. Here they provide links to two websites as their references,  and . Now then, I’m not French so I asked for a one-sentence impression of these sites from a scientist friend whose first language is French. Exley, Gherardi et al. next cite a couple of books, one by (and this may become a bit of theme) none other than Gherardi, titled “Toxic Story“. Next, they refer to “scientific blogs”, but I think they’ve actually got an issue with their references here as reference  is actually Vaccine Papers. I jest; but genuinely? Including the Vaccine Papers website as a reference, other than as an example of a rampantly anti-vaccine website? Next up they cite some “institutional technical reports”. The first being reference , which as we have already seen concluded that there was no evidence that adjuvants cause autoimmune disease. Then there are references [11-15]. These are again in French, again I have friends who speak French as their first language whose impressions I have sought, but don’t yet have in full (I am actually proud of my Huguenot heritage, but it doesn’t stretch to reading French technical reports). I would, were I peer reviewing this article, note that the use of French language references can be less than helpful for an international audience. Which is actually where my real issues with this paper start (bearing in mind we have found that they basically plagiarised and “anti-vaxxed up” their first paragraph and have utterly misrepresented Bégué…). So, they cite seventeen references to support this claim. Shall we have a look at some of them? Remember they wish to concentrate on the aluminium-containing aspect of the vaccines. So, an interesting choice for their first reference. Next up is reference . This is the report of a working group set up to look at a possible relationship between HepB and CFS. What did they conclude? 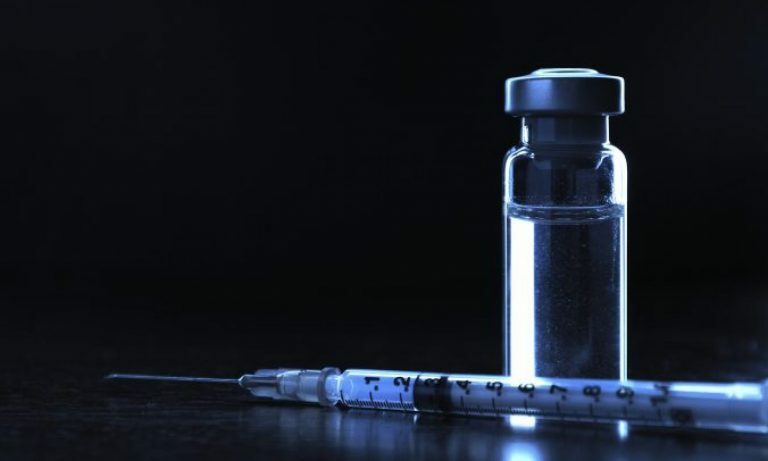 Members of the working group felt that there was no evidence linking hepatitis B vaccine administration with the appearance of CFS. That research group provided a list of arguments; arguments against any causative link. I’m not asking you to trust me on this. The references are available. The first two that they cite indicate no causative link. Clearly, after this rather astounding start, things were going to get a little less exciting and the next reference is . This is a funny little paper, describing four cases of CRPS linked to HepB vaccine. We’ve already seen that Richards et al. reckon CRPS and vaccination are probably if linked at all, linked due to the very local trauma rather than adjuvants. But it’s nonetheless a fascinating little case series if it can be called that. I was especially impressed with the notion that CRPS can resolve within hours or days? I’m no expert on CRPS, perhaps someone reading this who is might have some feedback? Moving ever onwards, though, the next two references are to the work of L. Brinth. Now, if you read onwards you’ll see that dedicate much of page 5 to the activities of certain individuals associated with the Nordic Cochrane group. I suppose it’s fair for me to interject some details about that here. Back in 2015, the EMA published a report, which considered the evidence for a causative link between HPV vaccines and postural orthostatic tachycardia syndrome (POTS) or CRPS (See Note 5). Exley, Gherardi et al. cite this as their reference . The report considered several studies mentioned this paper by Exley, Gherardi et al. (including Brinth’s), and also clinical trial data. On page five of this paper, the authors are highly dismissive of the EMA report, for example regarding the clinical trial data analysis. In the clinical trials various controls were used, several of which contained aluminium adjuvants. The authors of this paper declare that “despite this major bias” [35, Exley self-citation, natch] “European Medicines Agency (EMA) issued a negative opinion on an association between HPV and increasing of adverse effects”. Well, yes they did. They have been challenged about their approach to this data, and are confident in defending their position including when this was discussed with the European Ombudsman (see below). There was no maladministration by the European Medicines Agency in the handling of the referral procedure on the HPV vaccines. It can be found here, and is mercifully succinct. The way this entire scenario is represented in the paper is at best disingenuous and at worst deliberately misleading. The EMA found there to be no causative link between the HPV vaccine and CRPS and POTS. Some individuals, some of whom were affiliated with the Nordic Cochrane, took issue with this. The conclusion from the EMA stands, and the Ombudsman found the EMA not to be guilty of any maladministration. Some of this palaver was described in this piece. The piece above pre-dates the Ombudsman complaint and decision but refers to the situation leading up to it. To cut a long and complex story short – I am not going into Brinth’s papers, instead, I’d suggest reading the EMA report. Next up is reference number , which is a self-reference from Gherardi. Reference  likewise is by Gherardi. Now it’s Exley, Gherardi, and Crépeaux (I am not sure why Hundley truncated Crépeaux?). Perhaps he panicked when he couldn’t generate an acute accent?) are all co-authors of this paper. So that half of his “Big Six” right here. If this paper is indicative of the sort of quality of work they’re presenting then I for one am unconvinced. But we will persist. At least a little further. Reference  is another self-reference, this time an Exley paper. It’s one heck of a weird paper. Worth checking out, to be honest. It’s from Medical Hypotheses (see Note 7). It’s about a man with “aluminium overload” and seems to be part of an opportunity to promote some sort of “detox” mineral water. What it’s supposed to add to the general picture I am at a loss. Having now read a few Exley papers I do wonder if they do quality audits of the labs he works in – send some known control samples in for processing to see what levels of aluminium is found in them? It’s just a thought. Reference  is one worth relishing for criticism. It’s a correspondence, and it outlines the onset of symptoms in the subject eleven (11) years post vaccination. Can I just repeat that? Eleven years. The references for this one are also pretty special, the first three being to Gherardi publications. Remember these are the references the authors of this piece picked. They had absolute freedom to pick whatever references they felt best supported their argument, their case. And they picked these? The next reference  is actually a Shoenfeld paper. It includes his traditional disclaimer “Prof. Yehuda Shoenfeld has served as an expert witness in cases involving adverse vaccine reactions in the no-fault U.S. National Vaccine Injury Compensation Program”. Reference  is about a group of Japanese female adolescents. The symptoms they suffer are, let us say, a bit of a mish mash? Mostly the patients suffer from CRPS but also OH, POTS and OD. If you refer to the EMA report it’s quite clear that the current evidence is against a link between CRPS and POTS. Reference  again refers to ASIA. But it’s a strange paper, referring to the discovery of epipharyngitis. Which isn’t a condition usually associated with vaccination. They were, they acknowledge, encouraged in their work by one Shoenfeld. Reference  is really quite special. It’s a “questionnaire based study”; which I was startled by. I am glad to see that Helen Petousis-Harris wrote to the journal pointing out that the methodology (sending questionnaires to individuals identified via “anti-vaccination websites and blogs”) sets, to quote, “a very low bar for scientific enquiry”. Helen Petousis-Harris’ full response to this paper is worth reading. These are the references the authors of this paper chose; heaven alone knows which ones they discarded. Reference  takes us back to the MMF, and is unusual for originating from Mexico rather than France. The dates between vaccination and onset of symptoms is quite…remarkable. Anything from 3 months to 16 years. Yes, sixteen years. Perhaps, to me, most fascinating is that 19% of their cases had no actual history of vaccination? And finally they end this set of papers, which are intended to demonstrate to their readers that “the occurrence of myalgia and arthralgia, chronic fatigue and neurological disorders following multiple injections of aluminium-containing vaccines…have been reported in many countries”, with reference  which is about six patients with POTS published in 2014. The authors of the current paper are clearly aware of the EMA report, as they go into some detail even mentioning the involvement of the European Ombudsman (though neglecting to mention their conclusion that there was no maladministration at the EMA). The EMA report also considers the Brinth papers [19&20] and Kinoshita et al. . But the authors wish to present the EMA report in a poor light. They wish their readers to instead focus on the “strong dissatisfaction” of certain scientists with the EMA’s conclusions. But they don’t provide the punchline, that of the European Ombudsman’s conclusion. This part of the paper includes their references  to . Having attempted to discredit the EMA they declare that the “question of the existence of a causal link, and thus of an authentic adjuvant syndrome [40, 41], may never be resolved by epidemiological approaches .” No surprises to find that the authors of those first two references are Gherardi and Shoenfeld. Existing human adjuvants have a high level of safety. The relationship between specific adjuvants and rare adverse reactions such as narcolepsy or macrophagic myofasciitis remains to be resolved. More research is needed into adjuvants and how they work. So yes, the paper agrees more research is needed, but it also stresses the high level of safety of existing adjuvants. So all of these references it seems leads the authors of the paper to conclude that the performance of epidemiology to establish causality is notoriously limited. They therefore conclude that “the debate can be enlightened only by establishing the existence or not of an unequivocal biological plausibility of a causal link”. Really? Beyond the questionable grammar of that sentence, what do they mean? Are they now acknowledging that these reports aren’t showing what they appear to want them to show? In the next sentence they then refer to the “well-established neurotoxicity of aluminium”. This is unreferenced; they refer to the neurotoxicity of “aluminium”? What sort of aluminium? Some compounds of aluminium are doubtless neurotoxins, but this unreferenced statement is just meaningless. Meaningless and scaremongering, simultaneously. Paracelsus must be rotating quietly somewhere. GACVS concludes that this comprehensive risk assessment further supports the clinical trial and epidemiological evidence of the safety of aluminium in vaccines. Current research on pharmacokinetics of aluminium in vaccines is ongoing and should be encouraged as a means of further validating and improving this model. It is of course the same “topic” which damned two papers by Shaw and Tomljenovic (see Handley’s “Big Six”) as ‘seriously flawed‘. The final reference in this introduction, before they start on the “Generality on Al Adjuvants” is sadly one of the several in French . It apparently called for studies on safety to be carried out, “taking into account a set of parameters so far little studied, which can contribute to the appearance of risk”. Which brings us rather back to the key point about this decidedly odd introduction: this “appearance of risk”. They wish to set a scene, where aluminium adjuvants have an appearance of risk. It seems odd that they have found so few papers which actually support this appearance; or at least that is the impression given when you look at what their references actually say. I found the way they framed the situation beyond disingenuous. From the very start they underplay the benefits of vaccination, and play up (to the point of misrepresentation) the “appearance of risk”. Why, Fischer asked, is there public mistrust of vaccination? One conclusion was that health crises have “left the field open to anti-vaccination propaganda”…. I agree with Fischer, there is most certainly a risk from anti-vaccine propaganda. I think it is the responsibility of the scientific community, as peer reviewers (be it pre or post publication) of papers like this, to call out such “anti-vaccination propaganda” when we see it. The author of this article has asked to remain anonymous. The author has the letters BA and MSc after her name, due to some odd conventions at certain British universities. She does have a degree in science. She spent her career working as a laboratory-based scientist, including research and development. PCRs were a speciality. Since having children she has become fascinated with the “Vaccine Discussion”. She has become involved in voluntary science communication work and has recently been published in a peer-reviewed journal on the subject. For the last three years, she has been a lay member of a public patient involvement group involved with vaccine research. She is also currently a volunteer in a vaccine trial which had, to her joy, a blinded saline placebo arm. She has given science-based talks to local groups, she especially enjoys including a practical exercise. She now styles herself an independent researcher (yes, we all know what that means); and is rather enjoying the deep, deep peace of the sofa, after the hurly-burly of the fume cabinet. As was stated in the previous section, the author is British, so there will be numerous non-American spellings of words. Please grammar and spelling Nazis, take that into consideration. Turnover is a British word for revenue in finance. It’s not a pastry in this case. This relationship between vaccines and chronic fatigue syndrome (and other related conditions) nonsense has been thoroughly refuted. The relationship between HPV vaccine and CRPS has also been thoroughly debunked. Macrophagic fasciitis can be best described as a fake disease, which apparently only has been found in France. It is not recognized by any medical or scientific body of any note. It’s just one of the things that the anti-vaccine world has invented to make it seem like there are serious issues with vaccines. Medical Hypotheses is a journal that publishes “opinion pieces” about controversial scientific ideas. These articles are rarely supported by data and evidence from the scientific method. The journal used to publish articles without peer review but has changed that policy recently. The journal has an abysmal impact factor of 1.066. It is not considered a reliable source for quality scientific evidence. Once again, ASIA is not a recognized condition, and its existence has been debunked by numerous scientists.